Effective straightening of a slickline or wireline before can prevent unnecessary delays in well intervention. For both land-based and off-shore oil rigs, Sjogren’s hand-held straightener can help preserve the lifespan of your measuring or transmitting cable or tubing. We custom-machine our rollers for the standard tubing diameters (.25″, .375″, and .5″) or to whatever specifications you require. 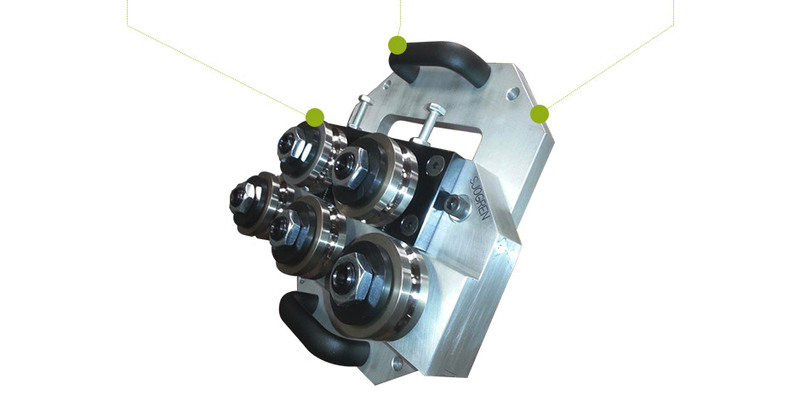 Field-proven on rigs across the globe, our oil industry control line tubing straightener can keep your wellbore operation on the straight and narrow.